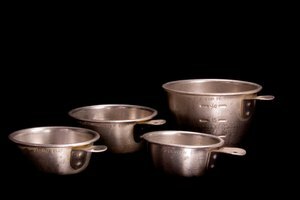 The real challenge in converting grams to teaspoons is not the problem of converting metric measurements to traditional ones; it's that grams measure weight and teaspoons measure volume. It's difficult to convert between the two, because a teaspoon of peanut butter has a different weight than a teaspoon of sugar. Try the Internet. 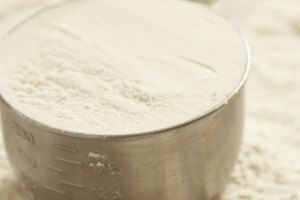 Use a gram calculator from a website like Gourmet Sleuth (see Resources) to get an approximate conversion. Divide by four. Divide the number of grams per serving by four to get the approximate number of teaspoons. Find out the exact weight of a teaspoon of the ingredient. (see Resources). Then divide the grams by that number to get an exact weight.